First Sentence: In the bathroom Stella was getting ready for bed. Sixteen years on from his last novel, Bernard MacLaverty reminds us why he is regarded as one of the greatest living Irish writers. A retired couple, Gerry and Stella Gilmore, fly from their home in Scotland to Amsterdam for a long weekend. A holiday to refresh the senses, to do some sightseeing and generally to take stock of what remains of their lives. Their relationship seems safe, easy, familiar – but over the course of the four days we discover the deep uncertainties which exist between them. Gerry, once an architect, is forgetful and set in his ways. Stella is tired of his lifestyle, worried about their marriage and angry at his constant undermining of her religious faith. Things are not helped by memories which have begun to resurface of a troubled time in their native Ireland. As their midwinter break comes to an end, we understand how far apart they are – and can only watch as they struggle to save themselves. 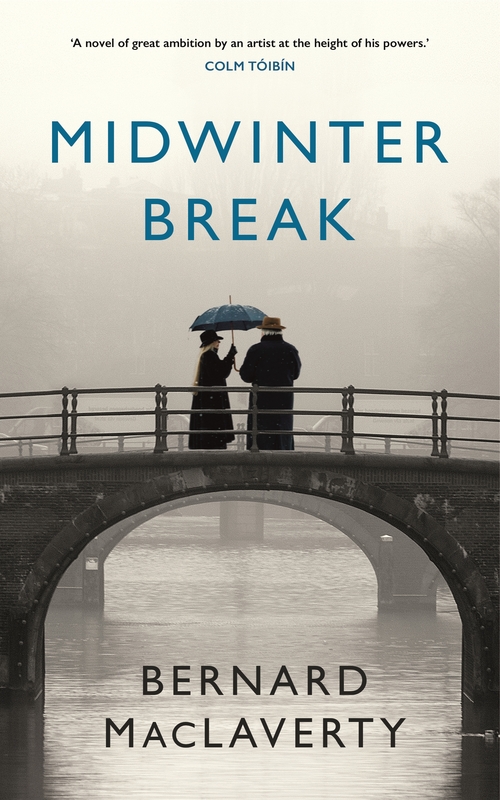 Bernard MacLaverty is a master storyteller, and Midwinter Break is the essential MacLaverty novel: accurate, compassionate observation, effortlessly elegant writing and a tender, intimate, heart-rending story – but it is also a profound examination of human love and how we live together, a chamber piece of real resonance and power. Forty years on from his first book, Bernard MacLaverty has written his masterpiece. What Stella was missing was the rearing, the day-to-day grind of the rituals of love, the babysitting, the bathing, the book reading, the arms around, the cheek to cheek, the sheer physicality of it all. The first words. The first steps. Last Sentence: If she was an instance of the goodness in this world then passing through by her side was miracle enough.